Bo Tian, Songdong Meng, George F. Gao. Complex of hepatitis B virus-specific antigenic peptides associated with heat shock proteins and the application thereof. US 7247 712 B2, 2007. Palukaitis P., Randles J.W., Tian Y.T., Kang L.Y., and Tien P., 1981, Taxonomy of tobamoviruses by cDNA molecular hybridization. Invervirology 16:136-141. Tien P., Davies C., Hatta T. and Francki R.I.B., 1981, Viroid-like RNA encapsidated in lucerne transient streak virus, FEBS Letters 132(2):353-356. Adrian Gibbs, Tien Po, Kang Liang-yi, Tian Ying-chun, John Randles, 1982, Classification of several tobamoviruses isolated in China on the basis of the amino acid composition of their virion proteins, Intervirology 18: 160-163. Kang L.Y., Yang X.C., and Tien P., 1982, Double-stranted viral RNA content in tobacco leaves infected with virulent and avirulent isolates of TMV. Virology 118:324-328. Tien Po, A.L.N.Rao and T. Hatta, 1982, Cucumber mosaic virus from cornflower in China, Plant Disease, 66(4):337-339. Tien P., 1982, Potato degeneration research in China, American Potato J. 59:46-50. Tien P. and Qiu B.S., 1982, Infection of barley protoplasts with BSMV detected by immunoperoxidase, J.Gen.Virology 58(2):223-227. Tien P. Zhang X., 1983, Control of two plant viruses by protetion inoculation in China, Seed Sci. & Technol. 11: 969-972. Tien P., 1985, Viroids and viroid diseases in China, in:Subviral Pathogens of Plants and Animals: Viroids and Prions (K.Maramorosch and J.J. Mckelvey. eds. ), pp.123-136, Academic Press, New York. Wu J.Q., Lu W.J., and Tien P., 1986, Multiplication of velvet tobacc mottle virus in Nicotiana clevelandii protoplasts is resistant to a-Amanitin. J. Gen Virol. 67, 2757-2762. Gerhard S., Tien P., Kaper J., and Riesner D., 1987, Double-stranded cucumovirus associated RNA 5:which sequence variations may be detected by optical melting and temperature-gradient gel electrophoresis ? Nucleic Acids Research 15(13):5085-5103. Tien P., Chen W., 1987, Burdock stunt viroid, in "The Viroid" ed. by T.O.Diener P.333-339, Plenum. Tien P., Zhang X., Qiu B., and Wu G.S., 1987, Satellite RNA for the control of plant diseases caused by cucumber mosaic virus. Ann. Appl. Biol. 111:143-152. Tien P., Steger G., Rosenbaum V., Kaper J.and Riesner D.,1987, Double-stranded cucumovirus associated RMA 5:experimental analysis of necrogenic and non-necrogenic variants by temperature-gradient gel electrophoresis. Nucleic Acids Research, 15:5069-5083. Wu G.S., Kang L.Y. and Tien P., 1989, The effect of satellite RNA on cross-protection among cucumber mosaic virus strains. Ann. Appl. Biol, 114, 489-496. Tien P., 1990, Satellite RNA for the Control of Plant Diseases, In Risk Assessment in Agricultural Biotechnology:Proceedlings of the International Conference, Edited by J.J.Marois and G.Bruening, University of California, 29-37. Tien P., 1991, Pear as a natural host of apple scar skin viroid. viroids: Pathogens at the Frontier of Life. ed by K. Maramorosch. CRC Press. Tien P., and Wu G.S., 1991, Satellite RNA for the biocontrol of plant disease. Advance in Virus Research, 39:321-339. Qin B.Y., Zhang X.H., Wu G.S., Tien P., 1992, Plant resistance to fungal diseases induced by the infection of cucumber mosaic virus attenuated by satellite RNA, Ann. Appl. Biol., 120, 361-366. Bingyi Qin, Xiuhua Zhang, Gusui Wu and Po Tien, 1992, Plant resistance to fungal diseases induced by the infection of cucumber mosaic virus attenuated by satellite RNA, Ann. Appl. Biol. (printed in Great Britain) 120, 361-366. Yie Y., Zhao F., Zhao S., Liu Y.Z., Liu Y.L., and Tien P., 1992, High resistance to cucumber mosaic virus conferred by satellite RNA and coat protein in transgenic commercial tobacco cultivar G-140, Molecular Plant-Microbe Interactions, 5(6):460-465. Yie Y., Tien P., 1993, Plant virus satellite RNAs and their role in engineering resistance to virus diseases, Seminars in Virology, 4:363-368. Yie Y. and Tien P., 1993, A simplified and reliable protocol for plasmid DNA sequencing: fast miniprep and denaturation. Nucleic Acid Res., 21(2):361. Yie Y., Wu Z., Wang S., Zhao S., Zhang T., Yao G., and Tien P., 1995, Rapid production and field testing of homozygous transgenic tobacco lines with virus resistance conferred by expression of satellite RNA and coat protein of cucumber mosaic virus, Transgenic Research, 4:256-263. Tien P., 1996, Production、Use and Biosafety of Genetically Engineering Resistance to Plant Virus Diseases, Changing Nature's Course-The Ethical Challenge of Biotechnology, Edited by G.K.Becker and J.P.Buchanan, Hong Kong University Press, 17-26. Yang W.D, Wang X.H., Wang S.Y., Yie Y., Tien P., 1996, Infection and replication of a planthoper transmitted virus-rice stripe virus in rice protoplast, J.of Virological Methods, 59:57-60. Yang X.C., Kang L.Y., Tien P., 1997, Resistance of infected tomato with cucumber mosaic virus satellite RNA to potato spindle tuber viroid, Ann. Appl. Biol., 129. Yang X.C., Yie Y., Zhu F., Liu Y.L., Kang L.Y., Wang X.F. and Po Tien, 1997, Ribozyme-mediated high resistance against potato spindle tuber viroid in transgenic potatoes, Proc. Natl. Acad. Sci., Vol. 94, 4861-4865. Canhui Liu, Lun-Quan Sun, and Po Tien, 2000, Ribozyme-mediated suppression of platelet type 12 lipoxygenase in human erythroleukemia cells, Cancer Gene Therapy, 7(5): 671-675. Bing Wang, Li-Hua Ke, Hong Jiang, Chuan-Zhao Li, Po Tien, 2000, Selection of a specific peptide from a nona-peptide library for in vitro inhibition of grass carp hemorrhage virus replication, Virus Research 67: 119-125. Shengcheng Han, Zujian Wu, Huaiyi Yang, Rong Wang, Yin Yie, Lianhui Xie, Po Tien, 2000, Ribozyme-mediated resistance to rice dwarf virus and the transgene silencing in the progeny of transgenic rice plants, Transgenic Research, 9: 195-203. Songdong Meng, Tong Gao, George F Gao, Po Tien. 2001, HBV-specific peptide associate with heat-shock protein gp96. The Lancet, 357(9255): 528. Song-Dong Meng, Jian Song, Zihe Rao, Po Tien, George F. Gao, 2002, Three-step purification of gp96 from human liver tumor tissues suitable for isolation of gp96-bound peptides, Journal of Immunological Methods, 264: 29-35. Ming Yu, Enxiu Wang, Youfang Liu, Dianjun Cao, Ningyi Jin, Catherne W.-H. Zhang, Mark Bartlam, Zihe Rao, Po Tien and George F. Gao, 2002, Six-helix bundle assembly and characterization of heptad repeat regions from the F protein of Newcastle disease virus. Journal of General Virology, 83, 623-629. Jieqing Zhu, Catherine W.-H. Zhang, Yipeng Qi, Po Tien, George F. Gao, 2002, The fusion protein core of measles virus forms stable coiled-coil trimer, Biochemical and Biophysical Research Communications. 299, 897-902. Enxiu Wang, Xiao’ou Sun, Yuan Qian, Linqing Zhao, Po Tien, and George F. Gao, 2003，Both heptad repeats of human respiratory syncytial virus fusion protein are potent inhibitors of viral fusion, Biochemical and Biophysical Research Communications, 302: 469-475. 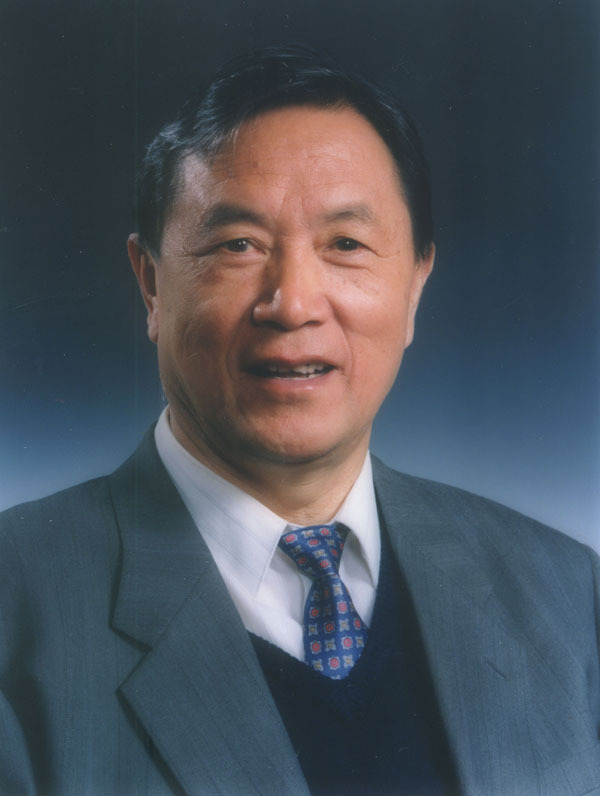 Zhu, J., Ding, Y., Gao, F., Wu, T., Zhang, C. W.-H., Tien, P., Rao, Z. & Gao, G. F., 2003，Crystallization and preliminary X-ray crystallographic analysis of the trimer core from measles virus fusion protein. Acta Crystallographica Section D Biological Crystallography D59: 587-590. Bo Su, Li Liu, Fusheng Wang, Xien Gui, Min Zhao, Po Tien, Linqi Zhang, Zhiwei Chen. 2003. HIV-1 subtype B’ dictates the AIDS epidemic among paid blood donors in the Henan and Hubei provinces of China AIDS, 17: 2515-2520. Ke Zhuang, Xien Gui, Bo Su, Po Tien, Zhiwei Chen, Linqi Zhang. 2003. High prevalence of HIV infection among women and their children in Henan province, China. JAIDS, 33: 649-657. Jieqing Zhu, Gengfu Xiao, Yanhui Xu, Fang Yuan, Congyi Zheng, Yueyong Liu, Huimin Yan, David K. Cole, John I. Bell, Zihe Rao, Po Tien and George F. Gao. 2004，Following the rule: formation of the 6-Helix bundle of the fusion core from severe acute respiratory syndrome coronavirus spike protein and identification of potent peptide inhibitors. Biochemical and Biophysical Research Communications, 319(1): 283-288. Yueyong Liu, Jieqing Zhu, Mingguang Feng, Po Tien, and George F. Gao. 2004，Six-helix bundle assembly and analysis of the central core of mumps virus fusion protein. Archives of Biochemistry and Biophysics, 421: 143-148. Minghai Zhou, Yanhui Xu, Zhiyong Lou, David K. Cole, Xiaojuan Li, Yiwei Liu, Po Tien, Zihe Rao and George F. Gao. 2004, Complex assembly, crystallization and preliminary X-ray crystallographic studies of MHC H-2Kd complexed with an HBV-core nonapeptide. Acta Crystallographica Section D Biological Crystallography. 60, 1473-1475. Xiao-Dong Zhu, Cheng-Lin Li, Zhen-Wei Lang, George F. Gao*, Po Tien*, 2004, Significant correlation between expression level of HSP gp96 and the progression of hepatitis B virus induced diseases. World Journal of Gastroenterology, 10(8):1141-1145. Xiao-Dong Zhu, Wei-Hua Zhang, Cheng-Lin Li, Yang Xu, Wei-Jiang Liang, Po Tien, 2004, New serum biomarkers for detection of HBV-induced liver cirrhosis using SELDI protein chip technology. World Journal of Gastroenterology, 10(16): 2327-2329. Shuwen Liu, Gengfu Xiao, Yibang Chen, Yuxian He, Jinkui Niu, Canos R Escalante, Huabao Xiong, James Farmar, Asim K Debnath，Po Tien, Shibo Jiang. 2004. Interaction between heptad repeat 1 and 2 regions in spike protein of SARS-associated coronavirus: implications for virus fusogenic mechanism and identification of fusion inhibitors. Lancet, 363: 938-47. Shao-Man Yin, Man-Sun Sy, and Po Tien, 2004. An engineered PrPSC-like molecule from the chimera of mammalian prion protein and yeast ure2p prion-inducing domain. Acta Biochimica et Biophysica Sinica 36(2): 42-46. Shao-Man Yin, Man-Sun Sy, Huai-Yi Yang, and Po Tien. 2004, Interaction of Doppel with the full-length laminin receptor precursor protein. Archives of Biochemistry and Biophysics 428: 165-169. Hongtao Li , Minghai Zhou , Jinle Han, Xiaodong Zhu, Tao Dong, George F. Gao , and Po Tien. 2005, Generation of murine CTL by a hepatitis B virus-specific peptide and evaluation of the adjuvant effect of heat shock protein glycoprotein 96 and its terminal fragments. The Journal of Immunology. 174(1):195-204. Ling Ni, George F. Gao, Po Tien. 2005, Rational design of highly potent HIV-1 fusion inhibitory proteins: Implication for developing antiviral therapeutics. Biochemical and Biophysical Research Communications 332: 831-836. Ling Ni, Jieqing Zhu, Junjie Zhang, Meng Yan, George F. Gao, Po Tien. 2005, Design of recombinant protein-based SARS-CoV entry inhibitors targeting the heptad-repeat regions of the spike protein S2 domain. Biochemical and Biophysical research communications, 330: 39-45. Ling Ni, Linqing Zhao, George F. Gao, Yuan Qian, Po Tien. 2005, The antibodies directed against N-terminal heptad-repeat peptide of hRSV fusion protein and its analog- 5-Helix inhibit virus infection in vitro. Biochemical and Biophysical research communications, 331:1358-1364. Ling Ni, Linqing Zhao, Yuan Qian, Jieqing Zhu, Zhibo Jin, Yu Wai Chen, Po Tien*, George F Gao*, 2005, Design and characterization of human respiratory syncytial virus entry inhibitors.Antiviral Therapy，10: 833-840. Jieqing Zhu, Xiuli Jiang, Yueyong Liu, Po Tien, George F Gao. 2005. Design and characterization of viral polypeptide inhibitors targeting Newcastle disease virus fusion. Journal of Molecular Biology. 354：601–613. Qing Fang, Lin Yang, Weijun Zhu, Li Liu, Haibo Wang, Wenbo Yu, Gengfu Xiao, Po Tien, Linqi Zhang, Zhiwei Chen. 2005. Host range, growth property, and virulence of the smallpox vaccine: vaccinia virus Tian Tan strain. Virology, 335: 242-251. Li Liu, Bo Su, Ke Zhuang, Po Tien, Zhiwei Chen, Linqi Zhang. 2005. Genetic characterization of full-length HIV type 1 genomes from 3 infected paid blood donors in Henan, China. JAIDS, 40(4): 501-504. Zhaoyang Li, Yong Xiong, Yu Peng, Ji’an Pan, Yu Chen, Xiaoyun Wu, Snawar Hussain, Po Tien, Deyin Guo. 2005. Specific inhibition of HIV-1 replication by short hairpin RNAs targeting human cyclin T1 without inducing apoptosis. FEBS Letters, 579: 3100-3106. Snawar Hussain, Ji’an Pan, Yu Chen, Yalin Yang, Jing Xu, Yu Peng, Ying Wu, Zhaoyang Li, Ying Zhu, Po Tien, Deyin Guo. 2005. Identification of novel subgenomic RNAs and noncanonical transcription initiation signals of severe acute respiratory syndrome coronavirus. Journal of virology, 5288-5295. Shu Li, Jieqing Zhu, Yu Peng, Shanshan Cui, Chunping Wang, George F. Gao, Po Tien. 2005. Characterization of BIV Env core: implication for mechanism of BIV-mediated cell fusion. Biochemical and Biophysical Research Communications, 329: 603-609. Rui Gong, Xiaoxue Peng, Shuli Kang, Huixing Feng, Jianying Huang, Wentao Zhang, Donghai Lin, Po Tien, Gengfu Xiao, 2005. Structural characterization of the fusion core in syncytin, envelop protein of human endogenous retrovirus family W. Biochemical and Biophysical Research Communications, 331: 1193-1200. Ying Zhu, Mo Liu, Weiguang Zhao, Jianlin Zhang, Xue Zhang, Ke Wang, Chunfang Gu, Kailiang Wu, Yan Li, Congyi Zheng, Gengfu Xiao, Huimin Yan, Jiamin Zhang, Deyin Guo, Po Tien, Jianguo Wu. 2005. Isolation of virus from a SARS patient and genome-wide analysis of genetic mutations related to pathogenesis and epidemiology from 47 SARS-CoV isolates. Virus Genes, 30(1): 93-102. Yuxia Zhang, Yanlu Zan, Ming Shan, Changmei Liu, Ming Shi, Wei Li, Zhixin Zhang, Na Liu, Fusheng Wang, Weidong Zhong, Fulian Liao, George F. Gao*, Po Tien*. 2006. Effects of heat shock protein gp96 on human dendritic cell maturation and CTL expansion. Biochemical and Biophysical Research Communications, 344: 581-587. Minghai Zhou, Dongping Xu, Xiaojuan Li, Hongtao Li, Ming Shan, Jiaren Tang, Min Wang, Fu-Sheng Wang, Xiaodong Zhu, Hua Tao, Wei He, Po Tien*, and George F. Gao*, 2006, Screening and Identification of Severe Acute Respiratory Syndrome-Associated Coronavirus-Specific CTL Epitopes, Journal of Immunology, 177(4): 2138-2145. Xiaoyan Gong, Xien Gui, Yuxia Zhang, Po Tien. 2006. Screening for CD8 cytotoxic T l ymphocytes specific for Gag of human immunodeficiency virus type 1 subtype B’ Henan isolate from China and identification of novel epitopes restricted by the HLA-A2 and HLA-A11 alleles. Journal of General Virology, 87: 151-158. Yueyong Liu, Yanhui Xu, Zhiyong Lou, Jieqing Zhu, Xuebo Hu, George F. Gao, Bingsheng Qiu, Zihe Rao, Po Tien, 2006, Structural characterization of Mumps virus fusion protein core. Biochemical and Biophysical Research Communications, 348: 916-922. Xiaoxue Peng, Ji’an Pan, Rui Gong, Yang Liu, Shuli Kang, Huixing Feng, Gang Qiu, Deyin Guo, Po Tien, Gengfu Xiao. 2006. Functional characterization of syncytin-A, a newly murine endogenous virus envelope protein. Journal of Biological Chemistry, 282: 381-389. Yu S, Yin S, Li C, Wong P, Chang B, Xiao F, Kang SC, Yan H, Xiao G, Tien P, Sy MS. Aggregation of prion protein with insertion mutations is proportional to the number of inserts. Biochem J., 403(2):343-51 2006. Wenbin Yang, Huaiyi Yang, Po Tien. 2006. In Vitro Self-propagation of Recombinant PrPSc-like Conformation Generated in the Yeast Cytoplasm. FEBS Letters, 580: 4231-4235 (IF 3.415). Shuwen Wu, Junqiang Xu, Jiangxia Liu, Xuan Yan, Xiaodong Zhu, Gengfu Xiao, Lunquan Sun, Po Tien, 2007, An efficient RNA-cleaving DNA enzyme can specifically target the 5’-untranslated region of Severe Acute Respiratory Syndrome associated Coronavirus (SARS-CoV). Journal of Gene Medicine 9: 1080-1086. Chang-Mei Liu, Zhuo Yang, Chao-Wu Liu, Rong Wang, Po Tien*, Roderick Dale and Lun-Quan Sun*.2007. Effect of RNA oligonucleotide targeting Foxo-1 on muscle growth in normal and cancer cachexia mice .Cancer Gene Therapy 14 (12): 945-52. Jiabin Yan, Xuqing Liu, Yao Wang, Xiaomo Jiang, Huayu Liu, Mingying Wang, Xiaodong Zhu, Min Wu and Po Tien，2007. Enhancing the potency of HBV DNA vaccines using fusion genes of HBV specific antigens and the N-terminal fragment of gp96. Journal of Gene Medicine, 9: 107-121. Yuxia Zhang, Shu Li, Ming Shan, Xuwen Pan, Ke Zhuang, Lihua He, Keith Gould and Po Tien, 2007, HBV core antigen epitopes presented by HLA-A2 single chain trimers induce functional epitope-specific CD8+ T cell responses in HLA-A2.1/Kb transgenic mice, Immunology, 121(1): 105-12. Chang-Mei Liu, Zhuo Yang, Chao-Wu Liu, Rong Wang, Po Tien, Roderick Dale and Lun-Quan Sun. 2007. Effect of RNA oligonucleotide targeting Foxo-1 on muscle growth in normal and cancer cachexia mice .Cancer Gene Therapy. 14(12) : 945-52. Heng-Gui Liu, Chen Wei-Wei, Fan Zhen-Ping, Yang Hui-Ying, Shi Ming, Zhang Zheng, Luan Shen-Shun, Zhang Hui, Lu Peng, Tien Po, Wang Fu-Sheng, 2007, The high prevalence of the 127 mutant HBsAg18-27 epitope in Chinese HBV-infected patients and its cross-reactivity with the V27 prototype epitope. Clinical Immunology，125, 337-345. Yan Su, Xiaodong Zhu, Yao Wang, Min Wu, Po Tien, 2008, Evaluation of the Glu11 and Gly8 of H5N1 influenza hemagglutinin fusion peptide for membrane fusion using reverse genetics, Archives of Virology，153(2): 247-257. Yan Su，Huaiyi Yang, Baojiang Zhang, Xiaoxuan Qi, Po Tian, 2008, A Dual reporter gene based system to quantitate the cell fusion of avian influenza virus H5N1, Biotechonology letters, 30: 73-79. Chang-Mei Liu, Zhuo Yang, Chao-Wu Liu, Rong Wang, Po Tien*, Roderick Dale and Lun-Quan Sun*.2008. Myostatin antisense RNA-mediated muscle growth in normal and cancer cachexia mice. Gene Therapy 15(3):155-60. Zhuo Yang, Jingwu Zhang, Haolong Cong, Zenghong Huang, Lunquan Sun, Changmei Liu, Po Tien, 2008, A retrovirus-based system to stably silence GDF-8 expression and enhance myogenic differentiation in human rhabdomyosarcoma cell. Journal of Gene Medicine, 10: 825–833. Pang W, Wang RR, Yang LM, Liu CM, Tien P，Zheng YT. 2008, Recombinant protein of heptad-repeat HR212, a stable fusion inhibitor with potent anti-HIV action in vitro. Virology, 377: 80-87. H.G.Liu, Z.P.Fan, W.W.Chen, H.Y.Yang, Q.F.Liu, H.Zhang, P. Tien and F.S.Wang, 2008, A mutant HBs antigen (HBsAg) 183-191 epitope elicits specific cytotoxic T lymphocytes in acute hepatitis B patients, Clinical and Experimental Immunology, 151: 441-447. Lun Cai, Zheng Zhang, Lin Zhou, Haiyan Wang, Junliang Fu，Shuye Zhang, Hui Zhang, Lei Jin, Fu-Sheng Wang，Po Tian. 2008. Functional impairment in circulating and intrahepatic NK cells and relative mechanism in hepatocellular carcinoma patients. Clinical Immunology, 129(3): 428-37. Jing Xu，Shufeng Liu, Yihui Xu, Po Tien, Guangxia Gao. 2009, Identification of the nonstructural protein 4B of hepatitis C virus as a factor that inhibits the antiviral activity of interferon-alpha. Virus Research 141: 55-62. XiaoYan Gong，WeiWei Gai，JunQiang Xu，Wei Zhou, Po Tien. 2009, Glycoprotein 96 Mediated Presentation of HIV-1 Specific HLA Class I Restricted Peptide and Humoral Immune Responses to HIV-1 p24, Clinical and Vaccine Immunology, 16(11): 1595-1600. Feng Shi, Ji-Yuan Zhang, Zhen Zeng, Po Tien, Fu-Sheng Wang. 2010. Skewed Ratios between CD3+T Cells and Monocytes are Associated with Poor Prognosis in Patients with HBV-related Acute-on-chronic Liver Failure. Biochemical and Biophysical Research Communications, 402(1): 30-6. Feng Shi, Ming Shi, Zhen Zeng, Rui-Zhao Qi, Zhen-Wen Liu, Ji-Yuan Zhang, Yong-Ping Yang, Po Tien and Fu-Sheng Wang. 2011, PD-1 and PD-L1 upregulation promotes CD8(+) T-cell apoptosis and postoperative recurrence in hepatocellular carcinoma patients. International Journal of Cancer, 128(4): 887-96. Haolong Cong, Lunquan Sun, Changmei Liu, Po Tien. 2011, Inhibition of atrogin-1/MAFbx expression by adenovirus-delivered small hairpin RNAs attenuates muscle atrophy in fasting mice, Human Gene Therapy, 22: 1-12. Fen Ji, Bin Yang, Xiangxin Peng, Huiguo Ding, Hong You, Po Tien, 2011, Circulating MicroRNAs in Hepatitis B Virus Infected Patients, Journal of Viral Hepatitis (In press).